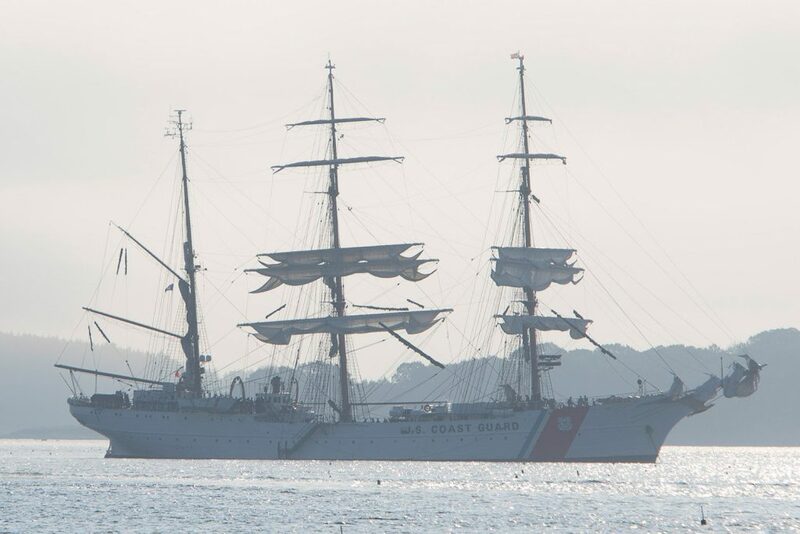 The SSV Oliver Hazard Perry and the U.S. Coast Guard barque Eagle are in Portland Harbor. 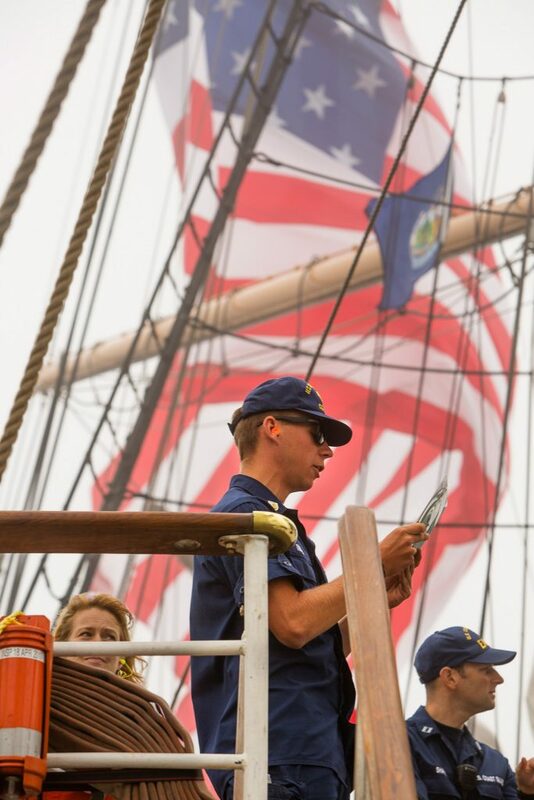 Two of the world’s most majestic three-masted tall ships are in Portland Harbor this weekend on what just happens to be the anniversary of the founding of the U.S. Coast Guard. Known as “America’s Tall Ship,” the Coast Guard’s 295-foot barque USS Eagle docked at Portland’s Ocean Terminal on Friday morning. 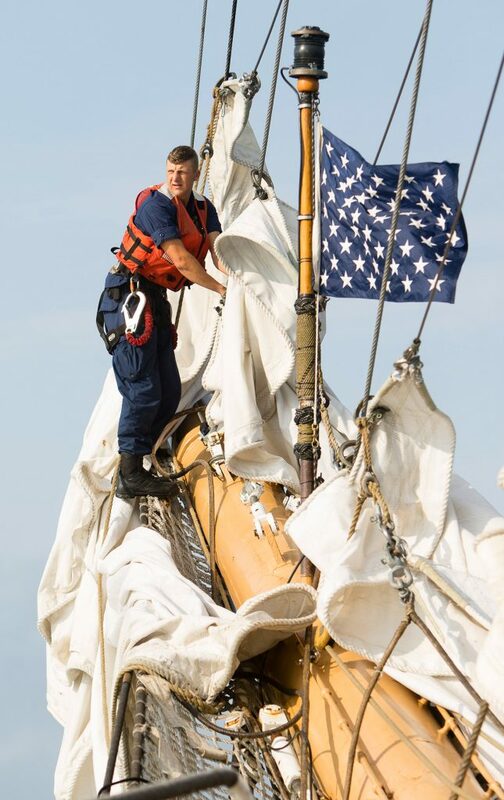 The Eagle will be joined Saturday morning by the 200-foot sail-training ship SSV Oliver Hazard Perry, which was moored off Fort Allen Park on Thursday night. Both ships will be open for free, public tours throughout the day on Saturday and Sunday. 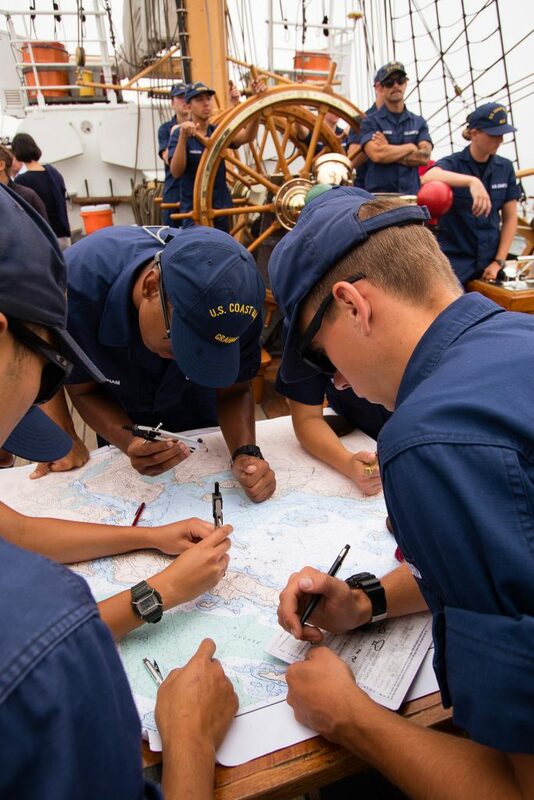 The event is sponsored by Tall Ships Portland – a nonprofit that promotes sailing experiences for high school-age teens – in conjunction with the Coast Guard, which coincidentally will be celebrating its 227th anniversary on National Coast Guard Day. 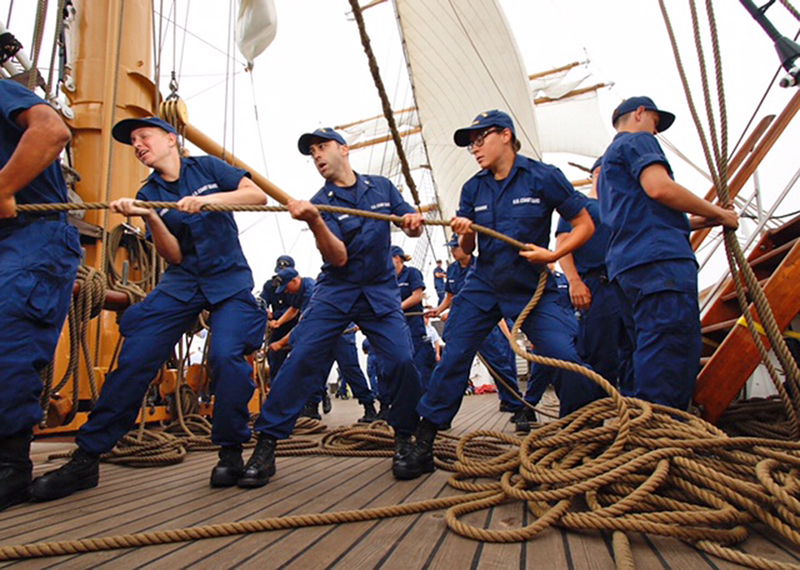 The Coast Guard was founded by an act of Congress on Aug. 4, 1790. 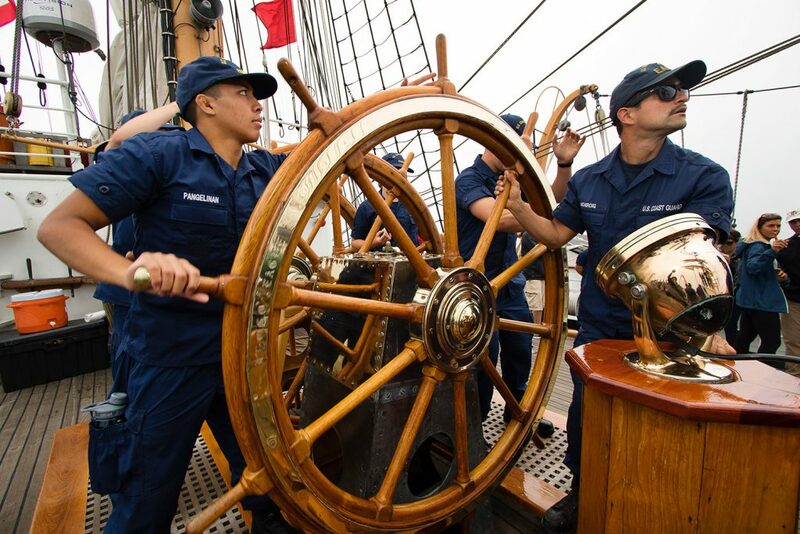 “Portland has a strong maritime heritage, and I hope the entire community takes advantage of the opportunity to visit the ship and meet the cadets and crew,” said Capt. Michael Baroody, commander of Coast Guard Sector Northern New England. 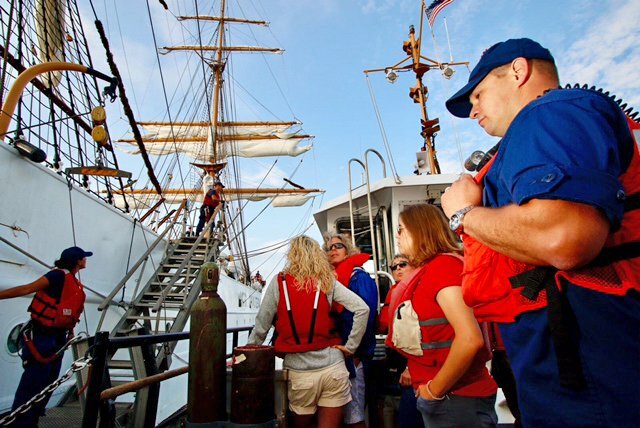 The Eagle, based in New London, Connecticut, is the Coast Guard Academy’s training ship. 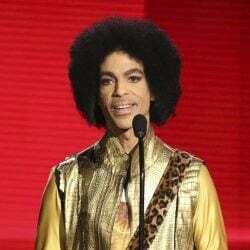 It travels the world with cadets in the summer months, serving as a goodwill ambassador for the United States. 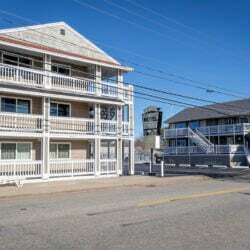 “Maine has one of the oldest seafaring traditions in the country. 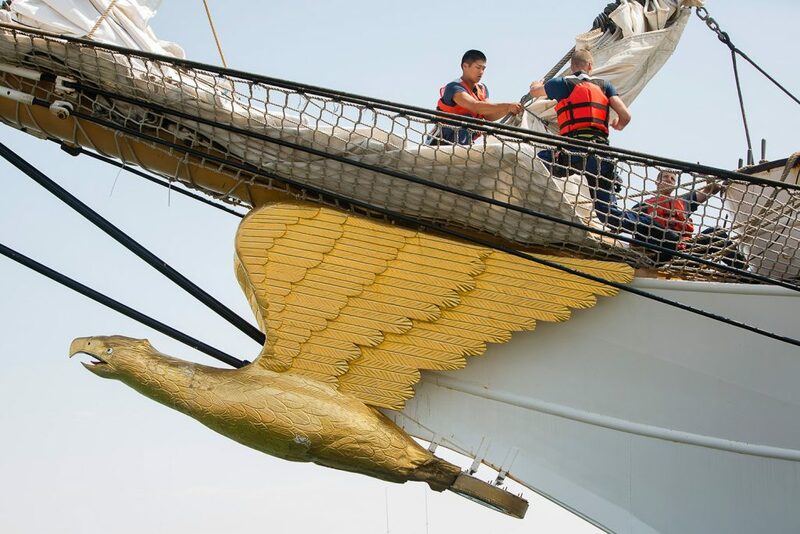 We have depended on the Coast Guard for hundreds of years to protect our coast and the men and women who go to sea, so we are especially proud to welcome the Eagle back to Portland on Coast Guard Day,” Congresswoman Chellie Pingree (D-Maine) said in a statement. 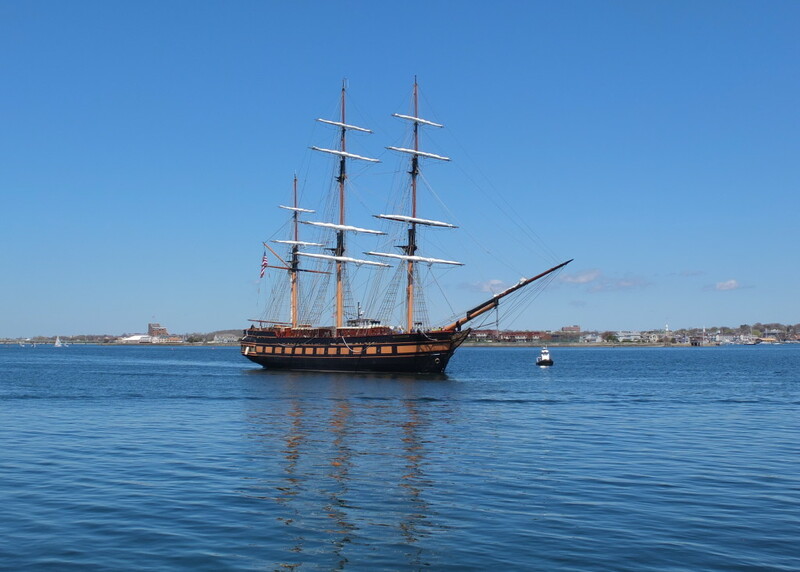 The Eagle is docked at Ocean Terminal on Portland’s waterfront, but will not be open to public tours on Friday. It will be open for tours on Saturday and Sunday from 10 a.m. to 7 p.m. 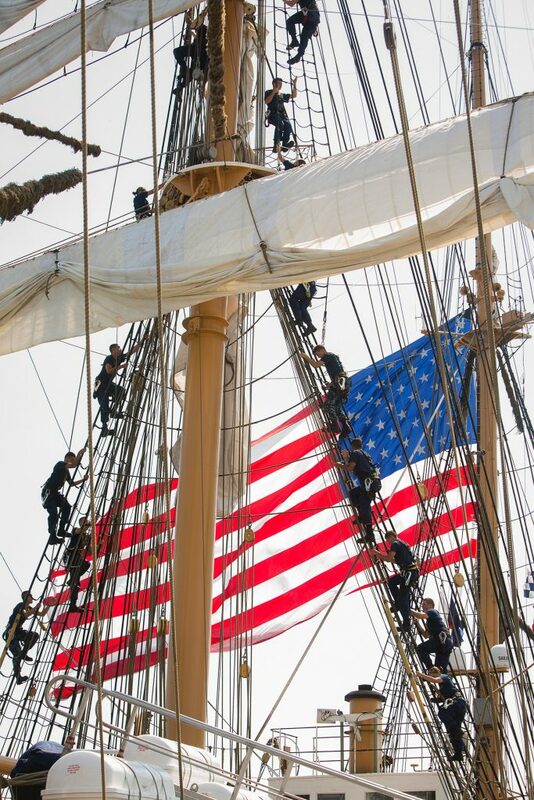 The Oliver Hazard Perry was launched in 2013 – the first ocean-going full-rigged ship to be built in the United States in 110 years. It is named for the young Rhode Island hero of the Battle of Lake Erie. 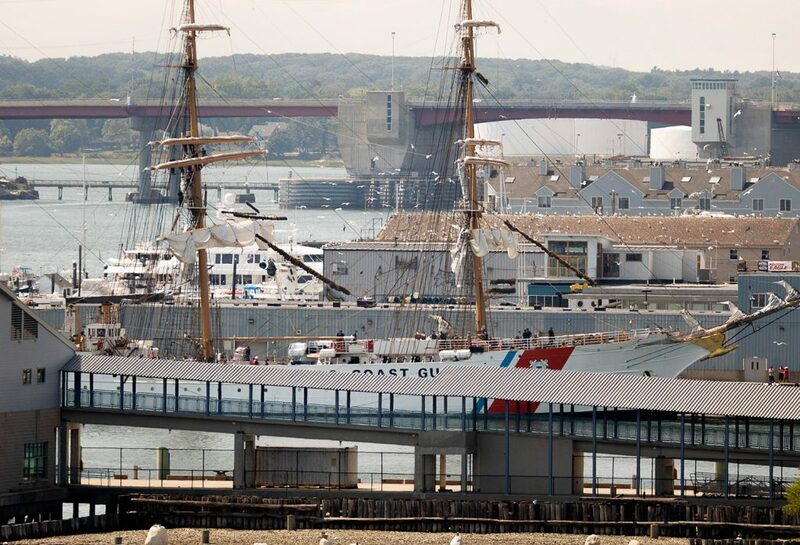 The steel-hulled vessel is 200 feet long, has a rig height of 130 feet and homeports in Newport, R.I.
“If you see the sails of SSV Oliver Hazard Perry appear over the horizon, you might easily believe she was a vessel from over two hundred years ago,” the nonprofit says on its website.